Using lemons for detox has been quite popular nowadays and other ways to use lemons emerged as well. Not only because lemons are rich in Vitamin C which helps in boosting a person’s immune system, squeezing them to a lemon juice isn’t the only way to get that nutritious effects of this fruit. 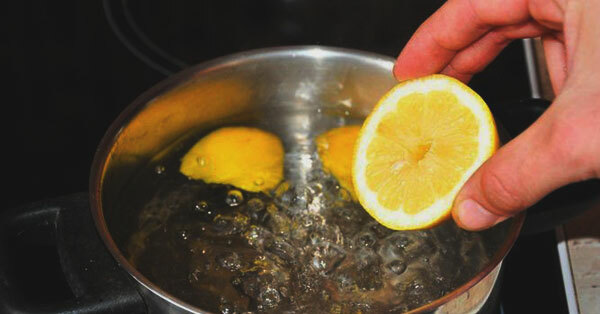 You’ll be shocked how boiling a whole lemon (including its skin) does wonders to the human body. • You’ll need 6 lemons, 20 oz of water and Honey. • Slice up the lemons in half and then put them in a pot with the boiling water. Boil it for 3 minutes. • Afterwards, leave it to cool for 10-15 minutes. • Remove the lemon and the pulp from the water. • You can transfer the hot lemon water to your favorite tea cup and just add honey to make it taste yummy. • It boosts your immune system. Best to drink this in the evening to give you that relaxing sensation and give you that good night sleep. If you are looking for a healthy and affordable solution, try this and you would definitely see positive results in your body.